If you decide to have a banquet, a business lunch, a party or a romantic dinner, our experts will gladly assist you. There is no worthy event that can be held without a first-class catering. 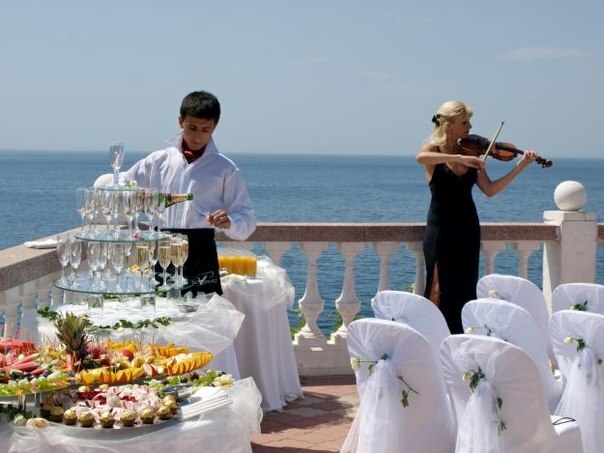 GrandazuR Company cooperates only with experts in the sphere of restaurant service. We’ll manage everything for you: design of the room, floral decorations, cutlery and accessories of your taste, food and a cocktail menu. Our task is to make everything up to your requirements so that you could enjoy time with your guests and indulge in the dishes of our chef-cook. security service and many other.